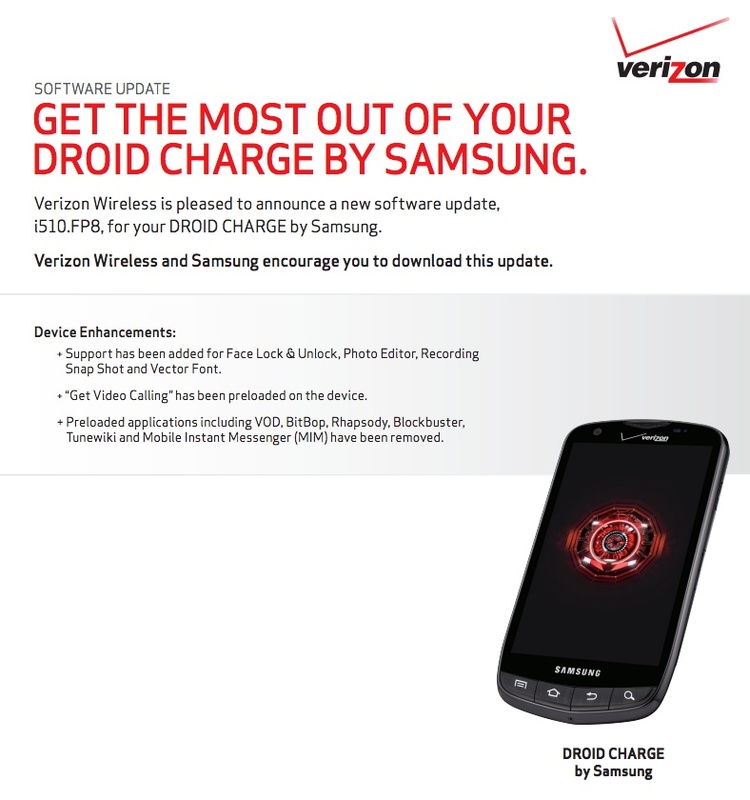 One of the original 4G LTE devices on Verizon’s network, the Samsung DROID Charge, will receive a new update in the very near future to build FP8. Verizon actually approved the update last Friday, but was the last thing on our minds after the Galaxy S4 event. So, four days later, we are letting you know! In the update, users will find face unlock, a new photo editor, Recording Snap Shot, and Vector Font. They’ll also see a ton of bloatware removed, like Rhapsody, Blockbuster, Tunewiki, VOD, and Mobile Instant Messenger. The update is 20.4MB in size.